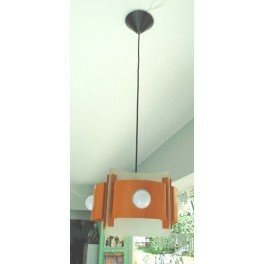 A rare pop art ceiling lamp from the sixties & seventies. Unique space ages design! Metal in white and orange colour. Please feel free to ask more photos. 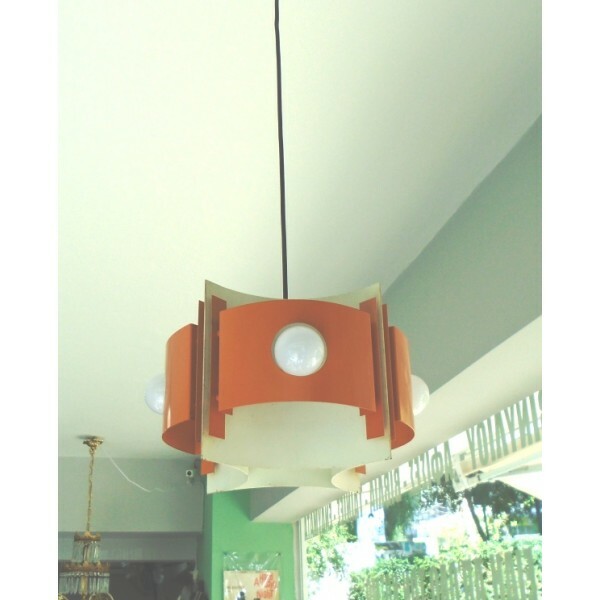 The 4 lamps are not included.